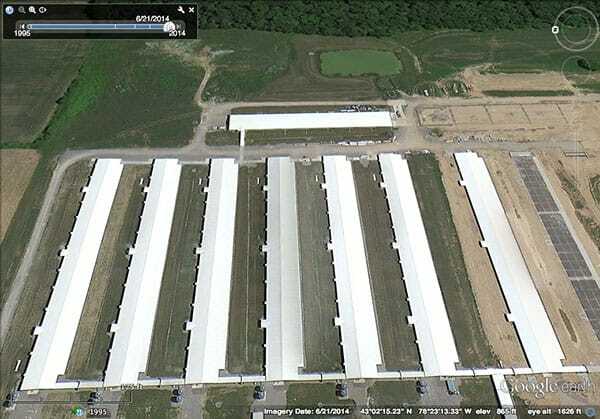 Overview of the two feedlots. It’s important to note that virtually all the surrounding fields, which could be used for pasture, have been recently cut and baled for hay. There is effectively no pasture available to these animals. 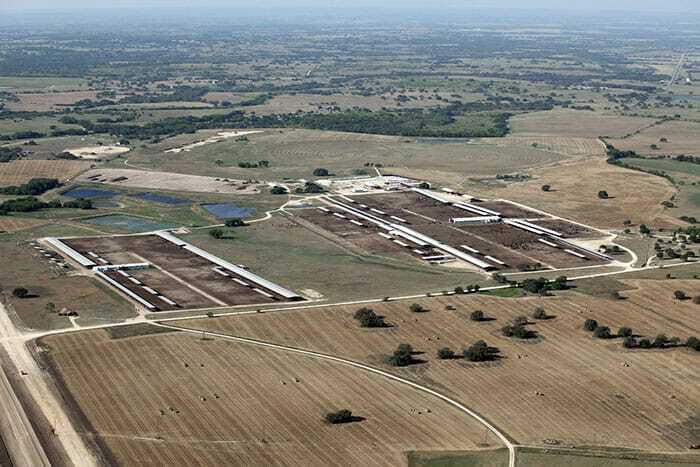 These feedlots are certified organic by Quality Assurance International. Close-up of the largest feedlot. The scale of this operation can only be appreciated if you note the semi-trailers in the forefront of the photo. These two-story houses likely contain over 100,000 birds using aviary systems. The farm itself is licensed for over 1 million. Screen porches on the side of the buildings are visible. It’s been a little more than 10 years since The Cornucopia Institute was founded. One of our first activities was exposing industrial-scale, confinement style, dairies with 4,000-10,000 cows that were producing organic milk for the Horizon label (Dean Foods/WhiteWave) and Aurora Dairy (private-label milk to Walmart, Costco, Target and a number of grocery chains). 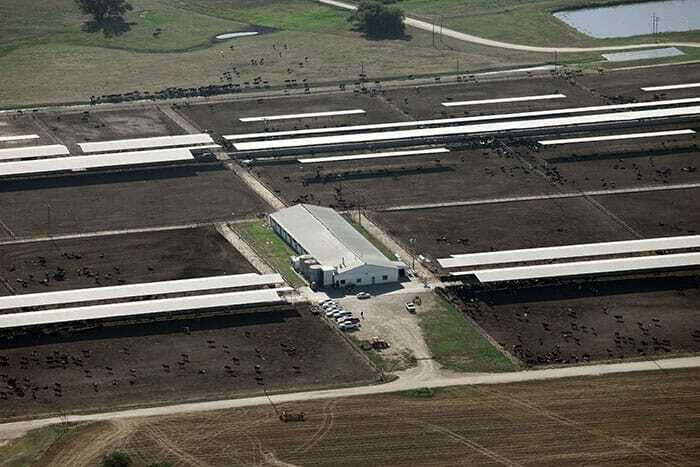 A decade later, after the Bush administration suggested they couldn’t enforce the regulations requiring access to grazing for dairy cows and other ruminants, and after the Obama administration announced “the age of enforcement,” we again find widespread fraudulent activity that continues on “factory farms” producing organic meat, milk and eggs. As they say, one picture is worth a thousand words. The preponderance of evidence on these 14 different facilities is overwhelming. 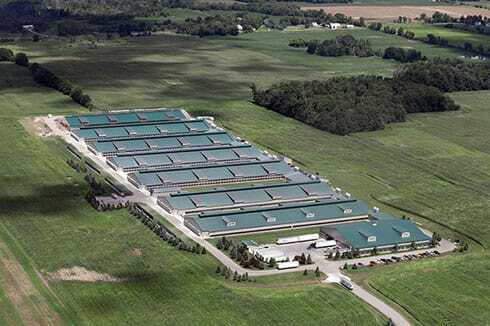 Read The Cornucopia Institute’s news release detailing the findings from the aerial flyovers of organic factory farms and see the photo galleries below. Is Your Turkey or Chicken Really Organic or from a Factory Farm? Help us Find Out.